Last month UFC lightweight champion Khabib Nurmagomedov received nine months of suspension from the Nevada State Athletic Commission (NSAC) for instigating the UFC 229 brawl. While Khabib can reduce that time to six if he participates in anti-bullying PSA, however, he turns down NSC’s offer. 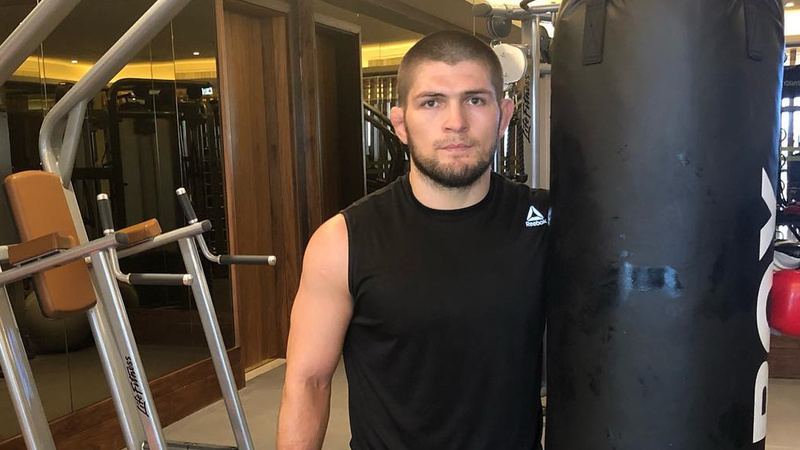 Moreover, he doesn’t plan to return until October/November until his teammates Abubakar Nurmagomedov and Zubaira Tukhugov’s suspension are over. If ‘Eagle’ actually sidelined until October, that means a lightweight division will slow down for the entire year. “Guys can’t sit out and wait that long when you have the title,” the UFC president stated. “You can’t do it. So if that’s true and he’s going to do that, then we’d have to figure out something else, and you start looking at whether it ’s and Tony Ferguson or one of these other guys. Earlier this week, White said he has heard of those comments in the media but haven’t spoken to Khabib about his plans for 2019. Being said that, White was adamant that he wouldn’t put the lightweight division on hold for “Eagle” to return. Well, one thing is clear that UFC has no shortage of lightweight contenders if Khabib doesn’t return before October. We have Conor Mcgregor, Tony Ferguson and Dustin Poirier who’re hungry and ready to throw down. So let’s see how things will play out for everyone in the coming weeks. From the past few weeks Mcgregor and Donald Cerrone calling each other out on social media and wants to fight. Even White said if both fighters want it we can make it happen. In case this doesn’t work out of course UFC can put Mcgregor against Ferguson for an interim title. Even another top 155-pound contender Dustin Poirier is also in this race after racking three straight knockout wins over the likes of Justin Gaethje, Eddie Alvarez and Anthony Pettis. So we don’t know what’s next for all these fighters, let’s sit and wait.